Probably off-topic for this thread (I'll keep it short). @dizzydee if you'd like to keep a copy of that Grim for "just in case"... you could roll a copy of your save, add him to a household, evict him to his own household, and save him to your library. Then you'd have him available to put back if something were to happen in your real game. In case somebody might not know, to mark a Played House as Unplayed, you just click the plumbob in the lower left corner of a household's window in Manage Households. So I should play the unplayed not in the world households to ensure they are not culled. And then evict them? That would do it It will, however, kick them out of NPC roles, so if you want them to have those roles (bartenders, yoga instructors, mail carriers, etc. ), you're stuck with leaving them unplayed. Another way to leave them unculled is to house them from Manage Worlds/Households but not load the household in live play; this will kill fewer NPC roles off (but will do in some, like mail carrier). 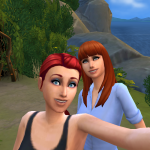 Okay, last question, promise, If the game limit for sims is 305 and I have 305 sims, which includes my played households that I can load, and my played sims not in world, will the game still generate NPCs to fulfill NPC roles? 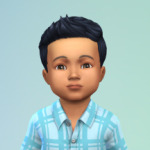 The game will try to use the existing Sims for roles. There are some that played households can take — festival-goers, for example, or people hanging out at the gym or reading in the library. There are some that it unplayed housed Sims can take — bartenders, food-cart sellers, protesters (quite a lot of this category). There are some that will only take unplayed unhoused Sims — butlers, fishers, active-career coworkers, suspects, etc. And the Sims have to be available when the role is needed, not at work or school. The more your 305 Sims are played households, especially if they're employed, the more the game will need to make new Sims for roles. If you're above that 305 already, it will just cull those Sims more often. OK that helps a lot. I don't really play them, none have jobs. I only actively play one family. I'm just adding that in GTW rotations, you can play several sims in the same career and the workplace will basically stay the same. I sent a sim in my rotation into the GTW detective career. I later added one of her coworkers into my rotation in a new household. (He doesn't live with her). When I made him playable, he kept his position at work and when he goes to work, the same sims are there including my other sim. Culling does happen and it happened a bit in that office but there are still a lot of the same coworkers. Slightly connected to this, I'd like them to fix the cas.fulleditmode glitch that came with the most recent patch because it is very annoying. I have found out that there are some sims who are in my world who don't show up in Manage Worlds for editing. I've searched the whole list and I can't find some of them. 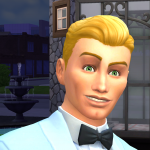 The connection to culling is that this means that I haven't been able to edit some of the newly-generated townies in my game which is very annoying. 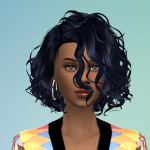 At this point, I don't mind some culling of total randoms but I do want to be able to edit any of the new townies. I hope this gets fixed soon. Hello! I have a query about ghost culling. I don't like having ghosts in my game, but I do like preserving family trees since I play a generational legacy save with story progression (MC Command) enabled. In order to "clean" ghosts while preserving genealogies, I will "unhide hidden households" from the MC Cheats module accessed through the mailbox. I will then collect the ghosts that show up in Manage Households into a single household, turn them back into living sims (using the remove death trait cheats), then kill them again with MCC to get their tombstones. Then, I have a living sim release the spirits of these tombstones into the netherworld. The next time I select "unhide hidden households", the ghosts that were released into the netherworld appear again in Manage Households. They are not playable, and if I try playing them, they don't appear in live mode. However, it doesn't seem like the game is cleaning them from the Manage Households UI and they linger there indefinitely. They do affect the population count too, as I have verified. If I delete these inactive ghosts, sadly they disappear from the genealogy as well. Are these inactive ghosts impacting the game in terms of performance? Why do they count against the total population when they cannot be played? Could you elaborate a little bit more on this @luthienrising? Would the "inactive ghosts" I mentioned above count against the 100 dead relatives? 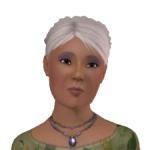 Or is this cap only relative to the families of played sims? I appreciate any information anyone can share regarding this matter, I'm still on generation 4 so I still have a long way to go and my population (due to the inactive ghosts) is already above 250 despite frequent manual culling of unwanted townies. @simmerille I'm afraid this is something I don't know details on at all. @Neia might. But it sounds like you're also dealing with an MC Command Center issue. You might want to ask about those hidden but released-to-the-Netherworld ghosts in the MCCC Support Discord. There's a link to it from deaderpool.tumblr.com > Help. Thanks @luthienrising, I just asked my question in the MCCC support discord. Indeed, that's quite a complicated situation, so I'm not sure what's the exact status of your ghosts. Assuming they are still tagged as "played" which they should be if they were played when they died, they are immune, but since you killed them a second time with MCCC, I'm not sure if they are still tagged as played or not. 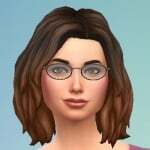 The 100 is for Sims who are neither played nor housed, but are related to one of your played Sims. Thanks @Neia, I did a bit more research and came to a conclusion about these ghosts. In MCCC if you go to Neighborhood Cleaner > Clean Ghosts, it says "If a ghost is released into the netherworld, delete them from the game" and the default setting is Disabled. I deduced that basically, the way the game retains dead sims in genealogy once they've been released to netherworld is by keeping an imprint of these ghosts around. That's why they show up in Household Management once you "Unhide Hidden Households" and affect the population count, despite not being playable. The game will start culling these ghosts (if culling is not disabled) once the population max. is reached. Consequently, since I love to micro manage my world, I will keep culling and ghost cleaning disabled, and will manually cull sims I don't want and "clean" ghosts (using the method I wrote about with MCCC and recovering tombstones). This enables me to keep the ghosts I want in genealogy, while preventing them from actually showing up in live mode and being annoying. Hi, thanks for the thread. Really useful. One thing is not quite clear to me. I have read somewhere that the population maximum (of 305 currently) also includes dead people. It this still the case? Why would they do that? Won't it make the game unplayable after 1-2 generations? I am planning on using Neia's mod to circumvent culling. There does not seem to be a way to edit posts. In reference to my previous post: Does the game absolutely need ghosts of dead people around (even outside of the playable game) to just store genealogy information? Why does it not just store an image of the dead and delete them? Dead played Sims are counted in the 305, they are considered more important to keep than unplayed Sims by the game. Dead unplayed Sims are kept in a minimal state (that's the 100 dead relatives, which aren't counted in the 305). Keep in mind that the 305 is just a soft cap. You can have more than 305 Sims in your save game (for example with played Sims or housed Sims), though you'll have a higher turnover of townies. There does not seem to be a way to edit posts. 1. If a sim was played, but then I mark them unplayed, will they still be culled? This is usually for relatives of my main family who I probably won't play again, but I'd like to see them show up in various careers if possible. Thanks both for doing all of this work! If your Sims is played, and you marked them unplayed, it then depends on if they are housed on not. If they are housed, they won't be culled. If they aren't housed, they may at some point, though if they are relatives of your played Sims, they will be rather low on the list. Your best bet if you want to be sure they aren't culled is to put them in a house, that will make them immune. If you want Sims to be picked as fitness instructor, etc, they need to be unplayed. Other than that there are various constraints on traits for example, so your Sims need to fit the criteria to be picked. The criteria depend on the job, so it's a bit hard to predict if they will be picked or not. @superkyle221 For ghost deletion, if they weren't played, I believe that they'll be fairly quick targets for culling. Otherwise, you could try MC Command Center's controls. I'm not sure how to target particular ghost groups with them, though. One thing I do is use MCCC to remove those dead Sims from my played Sims' relationship panels when I see them - it might nudge them farther up the culling queue as there will be fewer relationships with them. Some Simmers have found that if they have a gardener etc. they like in one save, save that Sim to their Library, then in another save they can add them in via CAS but not house them (not even temporarily) and that Sim will keep that role. I find it easiest just to edit the role NPC in CAS into what I want them to be. Thanks to all three of you (@luthienrising @Neia @SparklePlumley) for the information! 1. 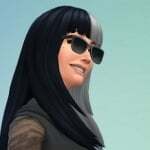 Will my sims forget each other or not know each other after a day or two? 2. Will familial or high friendship bars decay quickly like they did? I'm not overly concerned if they forget those they only met once and have no relationship with at all. 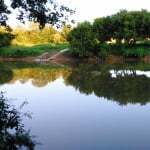 But I am concerned of those I've directed to meet out in public, but haven't had a chance to get the friendship up yet. At what point does the game decide to cull a sim from the panel? Is it just me or did culling get less/decreased? You'd have to check with @Neia. Our most recent info is what's in the OPs here. @fullspiral Check the details in the top posts here - we've got it explained how long it takes (number of relationships) for relationship culling to kick in, decay, etc. It's a YMMV whether it meets your needs or not, of course. I've got decay turned off for now because I rotate through households pretty slowly.